Eleven outstanding students from Hawaii Island have been awarded scholarships totaling $194,000 by the THINK Fund at Pauahi Foundation. These 11 students join last year’s 10 scholarship recipients in receiving scholarships that will provide support for the remainder of their academic college graduate careers. The multi-year commitment to the students was designed to reassure students and their families of continued support and reduce the barrier of family finances limiting college attendance and long-term career success. 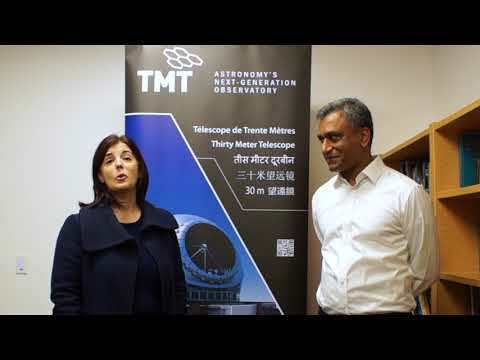 The Thirty Meter Telescope (TMT) launched THINK (The Hawaii Island New Knowledge) Fund in 2014 to better prepare Hawaii Island students to master STEM (Science, Technology, Engineering and Math) and to become the workforce for higher paying science and technology jobs in Hawaii’s 21st century economy. The 2016 scholarship students are all pursuing STEM related degrees. They are a diverse group, planning careers in medicine, biology (including marine biology and microbiology), mechanical and civil engineering, aviation science, and ecopsychology. They come from public, charter, and private high schools across the island and the colleges they have chosen mirror their wide-ranging choices of careers: University of Hawaii Hilo, Hawaii Community College, University of Nevada Las Vegas, Linfield College, Grand Canyon University, University of Miami, Central Washington University, Stanford, and Cal State Sacramento. Among the recipients many overcame a variety of obstacles, from the foster care system, incarcerated parents, being unsettled and changing schools often, to single parenthood and depression, these students have persevered and excelled in school work and in community service. They acknowledge the tremendous support of mentors such as a hospice nurse, a coach, a foster care worker, teachers, pastors, and family, who encouraged and supported them, and made their success possible. TMT’s THINK Fund initiative benefits Hawaii Island students pursuing STEM endeavors with an annual contribution of $1 million. TMT selected two Hawaii foundations, Hawaii Community Foundation and Pauahi Foundation, to administer THINK Fund distribution in scholarship and grant making platforms. TMT has so far funded $2 million to the THINK initiative. TMT’s annual $1 million contribution allocates $750,000 to THINK Fund at the Hawaii Community Foundation and $250,000 to THINK Fund at the Pauahi Foundation. The foundations administer their respective THINK Funds independently and have autonomy in administering grant funds, determining scholarship recipients, and selecting and governing their Advisory Committees. The Thirty Meter Telescope initiated dialogue on the formation of THINK Fund in 2008 by asking a group of community volunteers to outline the mission, vision, purpose and implementation strategy of an education fund benefitting Hawaii Island students. The Organizing Committee that developed TMT’s THINK Fund structure was comprised of Hawaii Island residents. The Organizing Committee determined that scholarships, grant making and the establishment of an endowment would ensure the sustainability of improving educational opportunities for Hawaii Island students in STEM disciplines. It further recognized that an emphasis be given to improving opportunities for STEM education for Native Hawaiian students, not as an exclusive preference, but focusing on addressing the needs of Hawaii’s host culture. Scholarships are the major focus of THINK Fund at the Pauahi Foundation with some initial STEM grants going to programming including the highly successful Science Camps of America, a 10-day Hawaii Island summer session featuring a Land & Sea and Air & Space focus. The THINK Fund at the Pauahi Foundation is open to all Hawaii Island students with a preference given to applicants of Hawaiian ancestry to the extent permitted by law. Advisory committee members of THINK Fund at the Pauahi Foundation are Roberta Chu, Kaeo Duarte, Leinaala Enos, David Kaapu, Bob Lindsey, Gail Makuakane-Lundin and Maile Wong. For more information regarding THINK Fund at Pauahi Foundation log on to www.pauahi.org. Established in 2001 by the trustees of Kamehameha Schools as its philanthropic arm, the Pauahi Foundation’s efforts center on building community partnerships and creating educational opportunities that transform lives within the Hawaiian community. The Foundation accomplishes its mission by awarding more than 200 donor-funded scholarships and grants annually. For more information, visit www.pauahi.org.